Choosing the right college is a process. It’s one that I’m just now embarking on with my teenage daughter. Long before she’ll find herself inundated with acceptance letters (or at least I hope so), she’ll need to visit campuses, take her SATs, apply to a range of schools, consider scholarship and student loan options, and so on and so on. It’s crazy, scary, and exciting all rolled into one. Perhaps the biggest step in the process is choosing a major. In agriculture, more and more students are focusing their studies on the quickly growing field of precision agriculture. And colleges are taking notice. South Dakota State University (SDSU), for example, was the first college in the U.S. to offer a four-year precision ag degree in 2016. I anticipate more schools will follow SDSU’s lead, further developing the ag technology programs and courses that they already offer. So which schools are the best of the best when it comes to precision agriculture? 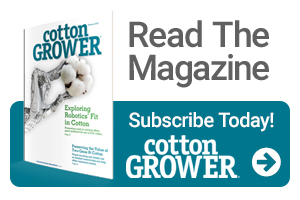 The editors at PrecisionAg Professional (sister publication to Cotton Grower magazine) recently attempted to answer this question. Based on feedback from industry experts and Internet research, we compiled a list of the top precision ag programs at colleges and universities in the world. We also surveyed the heads of these programs to provide a self-assessment and peer review, including listing the schools they think have the best reputation in education, research, and extension/outreach for precision agriculture. Only four-year schools are included in this initial list. We also plan to publish a separate ranking of the top technical and community colleges for precision agriculture in the near future. View the slideshow on PrecisionAg.com.